A book that I recently read had this quote and I was deeply impacted by the thought of having control over my time. Everyone has a dream about their future and how they would spend time if money was not a factor. Your work doesn’t define who you are, but provides a means to an end. A way to pay for living expenses, obligations and hopefully enough to save for investing or retirement. Real estate investing can be a means to an end and a way to take control of your time while becoming financially free. Rental properties have four advantages that no other investment can combine. A rental property can generate monthly income that can be used to pay bills or reinvest into the property to increase its value or overall ownership. Most real estate appreciates over time. A home purchased today for $250,000 that appreciates at 3% per year will be worth $336,000 in 10 years. Residential home loans can leverage your down payment. With a 20% down payment a buyer can borrow five times more than what they put in and over time the loan is amortized to pay down more principal. This allows the owner to gain more equity each year of ownership. The tax advantages of owning real estate can be significant. The interest paid on the loan is a tax deduction as well as depreciated home value. The IRS allows the value of a home to be depreciated down to zero over 27.5 years. This creates a paper lose when the home is creating cash flow and appreciation every year. Real estate should be viewed as a long-term non-liquid asset and its value compounds over time. This period is usually 5-10 years and called seasoning. If a property cash flows the owner can choose the correct time to sell for maximum profit in a good market, instead of being forced to sell and lose value in a bad market. Many people who I speak with are interested in real estate investing, but don’t know how to begin. Saving enough cash for down payment can be difficult and usually doesn’t come quickly. I tell them to think of the time used to save as a learning period as well. Learn as much as possible about mortgages, properties available and plan the details of the purchase. One way to begin investing immediately is to buy a 2-4 flat and live in one of the units. By taking this approach you can get owner occupied financing ( lower rates, better loan terms & smaller down payment). Another way to begin is called move up and rent out. This is where the owner of an existing home rents out their current home and purchases a different home to live in. Again the advantage of owner occupied financing comes in to play so cash flow is more likely. The challenge in this scenario would be financing. Today you would have to qualify for both loans or have more than 20% equity in your current home. This is to prevent a “buy & dump” which is when some one purchases a new home and stops paying for the old one. The next most common way to begin is buying real estate as pure investment. Usually a larger down payment of 25% is needed, but the larger down payment will help the investment cash flow because less money is going toward paying a mortgage. Real estate investors at this stage are looking at properties for ROI or return on investment, and not as a stepping stone. Make sure your Realtor or real estate adviser can provide details on ROI for each property so you can make an informed decision. Real estate investing is not for everyone. There are some down sides like dealing with tenants needs, repairs, & possible vacancies. Choosing the right team to help you is of the most importance. A Realtor with investment experience can help in the selection of properties or help manage rentals. A mortgage lender can suggest the best form of financing and qualify you for the appropriate purchase price. An accountant can plan your taxes in order to take advantages of the most deductions and pay less in income tax each year. Real estate attorneys act as an insurance policy & protecting your interests from losses. Selecting the correct advisers will set you up for success. Residential real estate has been turned upside-down in the last 4 years. Purchasing a home was a fairly simple process. A buyer could find a home they like, make an offer directly to the owner, negotiate price and terms, then close within thirty days. Today real estate is a completely different world and the market is dominated by short sales and foreclosures ( up to 50% of all sales in some areas). However, there’s a lot of confusion concerning expectations and values between these types of sales. The largest differences between the three types of sales are price, timing, terms, and condition. Short sales are a type of distress sale where the owner can not keep up with mortgage payments or property maintenance. This type of purchase can take between two & six months before receiving a counter offer from the seller’s mortgage company. Most cases the seller will likely not make repairs to defects in the home. The typical discount when purchasing a short sale is 13%-30%. If you have time to wait and don’t mind making a few repairs this can be a great option. Foreclosures are usually the deepest discount, but there are many unknowns. The home has been vacant for some time and an empty home in the winter has a high probability of frozen water pipes which then break. Repairs can be extensive and a buyer will need cash or a rehab loan. If the repairs needed are extreme, the home may not qualify for financing. A very thorough home inspection is needed to determine what type of repairs are necessary and how they will cost. Responses from the bank are usually quick and very from 24-72 hours. Closings can also happen quickly and in 30 days or less. This is definitely a “buyer beware situation.” If not planned properly a foreclosure could turn into a money pit. When purchasing a home you must consider which option best fits your situation. Before falling in love with a home find out what type of sale it is and can it be financed. Realistic expectations are critical. Building an new home is an exciting process and some times necessary when the real estate market is short on supply of what you need or want. When people have specific needs or looking for that forever home it’s important to get what you want, otherwise you just end up moving again. The home builder market has shrunk considerably since 2007, with many being stuck with a large inventory and eventually declaring bankruptcy. In many ways this was a good thing since it cleared out many of the people that had no idea what they were doing as well as the disreputable business men. 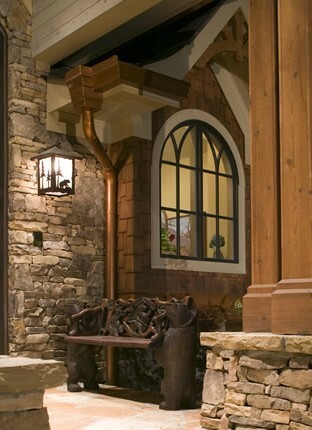 What remains is the best of the best and home builders with a well run business. Most home builders do not build spec homes any more or if they do, the selection is very limited. Because of this they some times charge a premium which is a little bit over market. The benefits of a building a new home are that you get to make all the selections, such as location, lot, features and amenities with no trade offs or remodeling. The benefits of projected long term ownership and energy efficiency can be well worth paying a bit over market because moving costs are extremely expensive when you consider closing cost, hiring a Realtor and paying commissions. Once you find the right home builder and location it’s important to negotiate the final price of the home with the lot and all upgrades. Find out what is standard and what is an upgrade. Ask about the materials used and how they effect over all usage, durability and energy efficiency. Make sure the home builder provides a warranty and is reliable about fixing any issues that go wrong in the 1st months of ownership. Also ask for at least 3 referrals. The largest challenge is planning a strategic move. Financing plays key role and may take some creative financing to make it work since many home buyers also have a home to sell. Here are some options that can set you up for success if you currently own a home and want to build a new one. 1. You many need to qualify for loans, your current and the new one in order to start construction. The construction period is usually 4-6 months. This would give 3-5 months to market your home and find a buyer. This may be challenge depending your current real estate market. 2. Qualify for both loans and rent out your existing home just before construction is complete. This may be a great option if you can afford the new down payment and use rents to pay your existing mortgage. 3. Find alternative financing or a portfolio loan. The rates may be a bit higher but they do not have to meet conforming mortgage standards and could be a bit more flexible. Many of these mortgage lenders will set up a refinance with in 1 year once the mortgage has seasoned and you build property management history. At that point you can qualify for a conforming loan with lower rates. 4. Option 4 is to sell your home and find temporary living while the new home is being built. This could be a short term rental of 6 months. The key to this option this option would be to select all the details of your new home and once you get a purchase contract for your existing home, get the construction process started immediately. So you’ve found that perfect home after searching for a week, a month, or a year. So what’s next? Most likely you’ve already done your pre-approval and financially qualified the home to make sure it’s in your budget. The next steps will show in detail of how to make that perfect home yours. 1. Ask for the Home owner’s disclosures such as “lead paint”, “Radon”, and the Seller’s disclosure that lists about 20 items that are critical to a well functioning home. If you are buying a foreclosure the seller will not provide disclosures. So a home inspection is crucial. 2. Next a CMA or Comparative Market Analysis prepared by gathering at least 3 sold homes with in close proximity and similar features will help determine value and offer price. If a home is asking 200k and the comparable sales are 195k, the home is well priced. 3. Making the offer: These are the 5 negotiable parts of the contract. 4. After the contract is negotiated it’s time to get busy. A home inspection should be scheduled in the 1st 5 days after acceptance. The inspection will help determine if there are any defective parts of the home and issues that need to be repaired. 6. Contact your mortgage lender and let them know you have an accepted contract. They will take a mortgage application and start your loan processing. They will ask for additional documentation such as bank statements, pay stubs, w2′s and tax returns. 7. Many of the next steps take place behind the scenes. The underwriting your loan will begin to make sure all documentation is place and the appraisal will be order to verify the properties value meets the loan amount. 8. A mortgage commitment will be issued stating that funds are approved and awaiting the closing. 9. You will want to do a final walk through of the home usually the day before or morning of closing to make sure no damage was done to the home when the seller moved out and that all agreed upon items have been left in place. 10. And finally the Closing. Your mortgage funds will be wired to the title company where the closing is taking place and loan documents will be signed. Items needed: A cashier check for down payment, & closing costs made out to the title company and Identification like drivers license or passport. Congratulations!!! You’re now the proud owner of a home. Condos are very different from purchasing a single family home, town home, or apartment building. While most homes will qualify for almost any financing, condos can be much more difficult. Since they are a collected group of owners sharing the same land, walls, & maintenance expenses, rules are necessary to govern the common good of the entire building or buildings. An association of home owners or a private management company will administer the rules, collect monthly payments, pay bills and administer improvements or repairs. In order for a condo building to qualify for financing the association must be active and healthy. Here are 10 tips to make your condo purchase smoother and flush out all the potential challenges before making an offer. 1. Will the building qualify for financing? Since the down turn in real estate, financing options have changed and tightened up considerably. Unless you are purchasing a home with cash, it will need to be financed. Make sure the building can be financed with relative ease. Find out what types of loan can be used, this will effect ease of resale if multiple loan types can be used. 3. How many condos are being rented? Owner occupancy will effect financing since conventional & FHA loans allow no more than 50% to be rented. A good association will have rules in place to keep rentals at an acceptable level. 4. What’s the investor concentration? Find out if 1 person or entity owns more than 10% of the building. With smaller buildings 3-10 units if 1 person owns more than 1 condo. This is another financing guideline for FHA & Conventional loans. This standard is in place so if that 1 person or entity defaults, the whole building doesn’t suffer. 5. Are more than 10% of the condos delinquent or behind in assessment payments? This can also be road block to financing because it is usually leads to the entire association not being able to pay it’s bill or insolvency. Many times it’s also sign that condos owners will default on their loans. 6. How many condos are for sale as foreclosure or short sales? Not only do a high amount of short sales and foreclosures hurt values for all condos in the building but, conventional & FHA guidelines only allow for 25% or less. 7. How much is in reserve funds? Reserve funds are meant to pay for special projects or common repairs such as a roof, decks, exterior walls or other common elements. 8. Are there special assessments? When a condo building doesn’t have enough reserves to cover repairs or updates a special assessment is needed. This comes in the form of additional payments from each condo owner with a 1 time payment or monthly installment payments over a set period of time ie 1-3 years. 9. What’s included in monthly assessments? Find out what your monthly assessments cover heat, electric, cable, internet, parking and common amenities such as a pool or gym. 10. Is parking included? Parking spaces can be included as a common element with each unit, deeded & sold separately, or leased. Before starting your condo search make sure you get pre-approved for a loan. This will help guide in your condo search by letting you know which financing method you can use and which buildings will qualify for that type of financing. The most disappointing feeling is finding that perfect place and finding out later that it won’t qualify for the type of financing you are using. All signs point to 2012 being the year of the short sale. Back in 2007 no one had ever heard of a short sale and the process was a complete disaster. Real estate agents didn’t know how to price short sales or get them approved by the banks. The whole process was a mystery because there was a complete lack of communication from the banks and they had no idea with thousands of defaulting loans. So many horror stories came from the early days of the housing crisis and home owners were on the loosing end, and the final chapter was foreclosure. Real estate felt like the wild west. Prices were falling through the floor and loans were defaulting left & right. Banks were so far behind on handling home owners who fell behind on their payments and because they had no systems in place the only option was to foreclose. Most owners didn’t know what to do when their mortgage company wouldn’t answer phone calls or would send them into voice mail loops for days and weeks at a time and could never speak to a live person. Home owners became frustrated beyond all belief because there were no answers to the problems they faced. 5 years later the game has changed. Banks have realized that it’s more expensive to foreclose than helping home owners to complete a short sale or modification. Between attorney’s fees, loss of revenue from a paying mortgage ( some times for 2 full years), property damage, and endless management fees until the home finally sells as foreclosure. Systems & procedures have been established to give home owners more options than ever when they can no longer afford their mortgage and the major banks are extremely cooperative when payments fall behind. Many of the mortgage lenders are now calling when this happens to offer owners a way out with incentives up to $35000 in moving expenses for completing a short sale. In November, short sales accounted for more than 9% of single family home sales and were up 32% from the year before, according to CoreLogic. Short sales are being approved now more than ever providing home owners a way out. The short sale process is being refined down to the finest detail so home owners have a way out now and prevents the dramatic decline in values that foreclosures represent ( up to %40 loss of value). Programs like HAFA, HAMP, & HARP are designed to free home owners from burdensome mortgages and receive moving expenses (up to $3000). Banks are offering cash incentives ($3000- 35,000) for home owners who complete short sales and streamlining the process so home owners have direct answers in short time periods. BofA, the largest servicer of home loans, did 107,000 short sales last year. That was up from 92,000 in 2010, which was double the 2009 volume, it says. New legislation has even been proposed to have answers in writing with in 75 days of an offer being submitted on a short sale. Under water homes have more options than ever to get a fresh start, get out from a mountain of debt created by an economic down turn & a bad mortgage. However time is of the essence because the mortgage debt forgiveness act of 2007 is set to expire at the end of the year. This prevents owners from having to pay taxes on the difference of what they sell for and what they owe. An opportunity exists for people who are behind on mortgage payments or soon will be. The opportunity to sell a home for less than what is owed while having the least impact to credit scores and receive cash to help with moving expenses. At no other time during this financial down turn have so many advantages been offered to struggling home owners. We are now in year 6 of the foreclosure crisis. In the beginning most real estate professionals like myself thought it was a temporary down turn and things would pick back up with in a year or so. No one knew what a short sale was nor did any of the banks want to accept less than what was owed. What started as a sub prime mortgage mess has become an epidemic effecting everyone. Some estimates say we have lost $7 trillion (with a T) in home values and over 5 million homes have been foreclosed. 10 million more are at risk. For most Americans their home was their most valuable asset. Now foreclosures have driven back home values to 2001 levels in most areas. So what’s the solution? How do we stabilize falling prices and return value to our housing market? Well there is no magic bullet, but if we combine multiple solutions that help a few thousand home owners here and there, now we’re getting some where. Foreclosures have a massive downward pressure on our housing market ( lowering neighborhood values by 40%) and make recovery impossible as long as they flood the real estate market. As a result our country has over 1.5 million vacant homes which are a breading ground for crime. As a country and as responsible citizens our focus should be on helping at risk home owners before they get to the end of their rope and fall victim to foreclosure. $20 billion will go to help at risk mortgages in the form of principal reduction with a maximum of $20,000 per modification and refinances to today’s historically low rates. Last week 49 US Attorney’s General came to a settlement for $26 billion with the 5 major banks Chase, Wells Fargo, Alley Financial, Bank of America, & Citigroup over wrongful foreclosure proceedings. These banks were using attorneys who forged and falsified foreclosure documents that wrongfully put 750,000 Americans out of their homes. This settlement will help thousands stay in there homes over the next 3 years while programs are implemented. Just because your mortgage statement may say Bank of America or Chase, it does not mean they own the loan. Fannie Mae & Freddie Mac are the nations largest mortgage purchasers but usually let the major banks service the loans i.e. collect payments. They have come up with their own programs that are meant to help home owners refinance or modify their loans. HAMP or home affordable modification program is designed to help change the loan terms, reduce principal, reduce interest rate, extend the terms ( from 30 years to 40) or a combination of all 3 methods. HARP or home affordable refinance programis designed for home owners who are current on payments but who owe more than their home is worth. Home owners that are under water can take advantage of today’s rates and reduce monthly payments because the program does not use value as a factor. To see if your loan is owned by Fannie Mae or Freddie Mac go to www.fanniemae.com/loanlookup orwww.freddiemac.com/mymortgage . A new tactic the banks are using in the battle against foreclosure is offering a cash incentive to home owners to successfully complete a short sale. Chase has offered up to $35,000 and other banks are testing pilot programs to do the same. It’s now more expensive for them to foreclose and in some cases takes 1 or 2 years if they do not have the proper documentation. For the home owner the massive cash incentives are extremely enticing and help them to start over in a new home and have less damage done to their credit or financial future. HAFA or Home Affordable Foreclosure Alternative is another government designed program to help home owners complete a short sale.. The program is designed to slow down the foreclosure process, give timely answers, and gives the $3000 for moving expenses to home owners. The deficiency judgement is waived ( difference between amount owed and amount paid) and reported to the credit bureaus as “settled” instead of a foreclosure which stays with a home owner for 10 years. Combining all these options will provide a solution and reduce the amount of foreclosures putting downward pressure on housing market while at the same time making our neighborhoods safer. Our government is offering help, most banks are offering help, but it’s up to individual home owners to take advantage. The US is beginning its 6th straight year of declining home values. Like myself, 10 million home owners are underwater on their mortgages. This is not always a problem if there is a long term solution like waiting out the market or renting your home until the mortgage is paid off or values return. Many home owners that have experienced a hardship like loss of income, wage reduction, increased bills, death of a family member or divorce time is working against them. They can’t wait out the market until it gets better, they need a solution now. Most people in these situation are at the end of their rope and savings accounts are running dry. Now is the time to find out what solution is best, refinance, mortgage modification or short sale. Here are a 10 tips for home owners who owe more than what their home is worth and they don’t know what to do. 1. BEWARE of foreclosure prevention scams. Many unscrupulous people prey on distressed home owners at their moment of weakness. Never agree to up front fees. Check credentials and ask for referrals. 2. Be realistic. If you’re spending more than you make each month or have a hardship now or foreseeable future take action now that could prevent defaulting on your mortgage and bills later on. Ignoring the problem will only make it worse. 3. Must ask the question can I (we) or do we want to stay in the home? Be honest with yourself. 5. Contact your bank and specialists like a Short Sale Realtor, Short Sale Attorney, Mortgage broker. Each will be able to help you discover all possible options. Banks are more willing now than ever to keep people in their home instead of foreclosing. 6. Government sponsored programs such as HAMP (mortgage modifications), HARP ( refinance), & HAFA (short sale 3k to home owner for moving expenses) are available to struggling home owners. Use these programs while they are still available. 7. A Short sale is not the end of the world. It’s a practical solution to a difficult situation. No cost to home owner. Credit scores can be affected as little as 50 points, better than foreclosure on credit report and can qualify for a new home mortgage in as little as 2 years and can negotiate away the deficiency ( difference between amount sold and amount owed). 8. In some cases renting the home is possible if rent prices meet or exceed mortgage payments. This can be a risk as well because if the tenant doesn’t pay mortgage payments will be missed. 9. Consider what is best for your short term and long term future. A foreclosure can stay on your record for 10 years and could prevent purchasing a home again for up to 7 years. 10. Some banks are offering up to $35000 for home owners to complete a short sale instead of letting the home go into foreclosure. Contact your bank to see if there are incentives. My best advice is to meet the problem head on. The longer a home owner waits to take action the fewer options will be available. I have often been contact when there is only 1 month left until a home forecloses and there is very little that can be done to save a home owner. In contrast when I’m contacted early in the process all options are available. This process can be scary & frustrating, but in the long run will benefit your financial future. I attended a RealtyTrac webinar earlier today and the host projected that up to 5 Million home owners could face foreclosure between now and 2014. This figure is shocking, but not surprising. Most economists project the true unemployment rate at 13-14% including everyone who has stopped looking for work or is under employed. The report showed slides how foreclosures mirror the unemployment rate. To throw one more devastating blow to a weak housing market, millions of loans with teaser rates or ARM are about to reset to much higher rates ( average increase of $1000 per month). The 1st option for any home owner who is having trouble making payments but is able to stay in their home should be to use HARP or HAMP the government sponsored refinance or modification programs. If staying in your home is not realistic and you need to sell a short sale is a much better option than letting the home foreclose. The major banks are supporting this as I detailed in an earlier blog “Why Would a Bank Accept a Short Sale“. Chase Bank is even offering up to 5% ($45000 in some cases) of the loan amount back to the owner at closing if they complete a short sale. 1. Contact your bank. Let them know there are problems and you’re listing your home as short sale. This will alert their loss mitigation department to assist in this matter. The longer you wait the less time you will have to sell your home and avoid foreclosure. See if you qualify for HAFA. Home owners can receive up to 3k in moving expenses. 2. Contact an experienced short sale Realtor who can guide you through the process. Be careful not all Realtors are short sale experts. 3. Your bank will require documentation. A hardship letter explaining why you are unable to make payments, 2 years tax returns, 2 recent bank statements, 2 recent pay stubs & a financial worksheet. 4. The next step will be to list your home for sale. Make sure your agent does a CMA and lists the home near market value. This will show your bank you are trying to get top dollar and not creating a fire sale or blind auction. 5. Home values may be shifting in your market so make sure to use regular price drops to stay current with surrounding home values. This will also create a record to show your bank you tried to sell for market value. 6. Getting an offer from a qualified buyer is extremely important. Check out their financing to make sure it’s solid. I see a lot of transactions fall apart because of weak financing. 7. Negotiate the highest possible offer before accepting. Make sure the buyer gives earnest money and does their due diligence right away. It’s important to know the buyer is committed to stay with the process and flush out problems early on. 8. The next step is to submit the offer to your bank. It may take time to have a contact assigned but be persistent with regular calls. 9. The 1st sign the bank is processing the short sale is when they order a BPO or broker price opinion. A real estate agent not associated with the transaction will do an independent valuation and submit this as a starting point for the negotiation. 10. Usually with in 10-14 days after the BPO the bank will ask for additional documentation and counter or accept the buyers offer. They outline terms, release of liens & waive the deficiency. Usually 60 days in from step 8 offer submission. 11. After all terms are agreed upon everything will be submitted to the investor ( owns the loan ) & a short sale approval letter will be issued. 12. Closing has to happen 30-45 days after acceptance so make sure the buyer has their financing ready. Choosing the right agent is everything. National average for successful short sale closings are 30-40%. Realtors with the CDPE (certified distressed property expert) have a 75-80% success rate. Let the right person guide you through the complex process and save you from foreclosure. 25% of Home Owners are underwater on their mortgage due to 5 straight years of home price declines and home prices have reverted back to 2001-2002 values in most markets. This means that anyone who has purchased a home in that time & didn’t make a large down payment owes more than what their home is worth. During this time many Americans have lost their job, experienced wage reduction or other hardships that made paying their mortgage extremely difficult. This is nothing to be ashamed of because most people in this situation spend all of their savings just trying to keep their home. Our neighbors are suffering in silence. 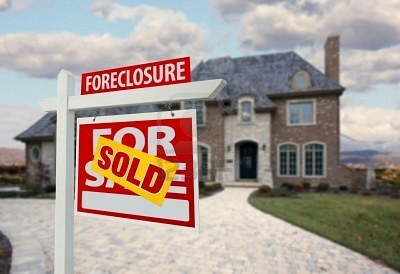 1 out of every 7 homes in the U.S. is in some state of foreclosure. 7 out of 10 do absolutely nothing about it. It doesn’t have to be so. Their areforeclosure alternatives such as a short sale, renting the home or a deed-in-lieu. A foreclosure is an extremely traumatic event for a family and the worst thing that can affect your credit score (worse than bankruptcy). A foreclosure could jeopardize future employment because employers check credit. Most mortgage companies and banks are now more cooperative than ever by participating in programs such as HARP, HAFA, & HAMP. These programs are meant to help home owners refinance or modify their mortgage and stay in their home or short sell their home if the hardship is too great. In a previous blog Why Would Your Bank Accept a Short Sale I detailed why banks don’t want to foreclose and how they are trying to help home owners relieve the burden of a mortgage they just can’t afford. To find the best option contact an experienced short sale Realtor. Since each person has a different situation, an experienced short sale Realtor can make recommendations what is best for you. Roughly 15-20% of the Chicago Real Estate Market would be classified as a short sale. This is when a home owner owes more than what their home is worth, (usually behind on payments ) and is asking their bank permission from their bank to pay less than what is owed on the mortgage. According to MLS data from Oct. 2011 short sales sold for 77.3% of market value where as traditional sales and Bank Foreclosures sold for 92.1% & 88.6% respectively. So how does the average home buyer go about taking advantage of this deep discount. 1. Be patient! Short sale can take as little as 60-120 days but in some cases up to 6 months. It’s a complicated process and moves slowly because most banks are understaffed in this department or experience high turnover. 2. No short sale is ever the same. Find out what bank owns the loan and if there is a 2nd loan on the home as well. Some banks are easier and faster to deal with than others. 3. If the price of a home is too good to be true than it probably is. Ask how the listing Realtor determined the listing price. Is it based upon market value? Did the bank determine the asking price ? Or was it a negotiated price of a previous offer? Did the agent just make it up? 4. Be sure to find out how much the seller owes on their loan(s). The less they are shorting their bank the more likely the sale will be approved. If they are asking 150k and their loans are 400k chances are it will be difficult to prove the drastic loss. 5. Ask if the listing agent has previous short sale experience. This is critical. An experienced agent will have all the documentation necessary to submit a complete short sale package to the bank for approval. Incomplete packages are the number 1 reason for delays. 6. Has a BPO been completed or ordered? This is the 1st milestone in the short sale process. The bank will order a BPO or broker price opinion after receiving the short sale package. This is done by a 3rd party and helps a national bank determine home values in a specific neighborhood. Some times this valuation will come back higher than the offer price or even the listing price. 7. Another key question to ask “have there been any previous offers?” Often times if a previous offer fell short critical information was learned like issues during the home inspection, problems financing the home because of repairs needed, acceptable sale price for the bank or just how quickly did the bank respond. 8. Make sure the seller is cooperative. A short sale seller is going to be dealing with a hardship like loss of job, income reduction or insolvency. As a buyer you want to know they are engaged in the process and not in denial or stalling for time. You will know this if they make the home available for showings, timely completion of contract, and short sale package submission. 9. Be sure to ask for regular updates. Usually every 1-2 weeks events will take place as a sign the short sale process is moving along and the listing Realtor is actively following up with bank. 10. Be ready to close. Make sure you have an approval letter submitted with your offer and your loan ready to close before the banks final acceptance. This will greatly speed up the process on the back end by not waiting 30 days for loan processing. When choosing a Realtor to help in your purchase make sure they are experienced and comfortable with short sales other wise you could miss out on 20% of the homes and some of the best deals. Why Would Your Bank Accept a Short Sale? Contrary to popular belief, banks to do not want to foreclose. Actually it has become the last thing they want to do. So why are there so many foreclosures? 1 in 7 homes in the U.S. is in some state of foreclosure and the Chicago market where I work as a short sale Realtor is right in line with National averages. 7 out of those 10 home owners do absolutely nothing about it, so their bank has no choice but to foreclose. This is one of the most traumatic experiences a family can go through and some may be in denial or just not know there are foreclosure alternatives like a short sale. Why would a bank want to help a home owner complete a short sale. A home could lose 20-60% of its value by foreclosing. When buyers see foreclosure they automatically assume it has hidden problems and want a massive discount because so much is unknown about a vacant home. Estimated loses for a short sale are 13-21% and the owner stays in the home, possibly paying the mortgage, utilities and some maintenance fees. The costs of foreclosing for a bank are astronomical when adding attorney fees, months with out receiving payments, holding costs, inability to borrow against a non-performing asset and other selling costs involved. The most important contributor to the downward spiral of home prices are the effect that a foreclosure has on a neighborhood. Just 1 foreclosure in a neighborhood can drop the prices of all surrounding homes by 30%. So if Bank of America owns 20% of the loans for a neighborhood than they would lose hundreds of thousands of dollars in loan values and increase the chance that other home owners would let their homes slide into foreclosure. Most of the major banks are now complying with HAFA or Home Affordable Foreclosure Alternatives. This program has set guidelines for response times, slows down the foreclosure process. Postpones a foreclosure sale date and offers a maximum of $3000 in moving expenses for the home owner. Some Banks like Chase are now offering up to 5% back to home owners for completing a successful short sale. The other word that is synonymous with foreclosure is vacancy and it’s proven that vacant homes increase crime. So my job as a member of my community and you as a member of yours, is to spread the word how there are alternatives to foreclosure. Remember your neighbor that lost their job 2 years or had wages reduced? Well they have probably missed mortgage payments too. But that was 2 years ago. How have they managed to stay in their home so long with out the bank foreclosing? So what does all this mean? The banks and mortgage companies will start moving home owners past the delinquency state and through foreclosure again in the 1st part of the year and will come to market as REO sales in the 2nd half. This means thousands of REO homes flooding the market. Some estimates say that just 1 foreclosure in a neighborhood drops the entire neighborhood’s value by 30%. Think of how this will affect the you and your neighborhood. I feel like a real Debby Downer with all these negative statistics, but there is also empowerment that comes from knowledge. These statistics and numbers are real people and real families, they are our friends, our family, our neighbors, our community and they are in distress. Now how can we help them through this frightening time and help yourself as well? Everyone knows some one who was laid off during the recession and now we all know some one who is in danger of losing their home to foreclosure. 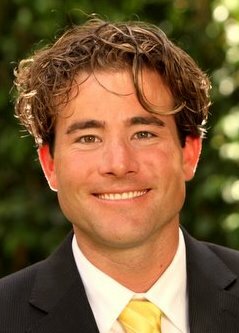 On my website www.webhomesearcher.com I have created a foreclosure prevention resource that helps guide distressed home owners through the process and all the foreclosure alternatives that exist.